I don’t normally have to pull myself off the dance floor (or in this case the “dance lawn”) at the end of an international wine event, but Saturday night I did. What a party at Pacina! The 30 or so winegrowers from Italy, France, Spain and Slovenia were “small production” (fewer than 50,000 bottles), and the wines were spectacular. From 4pm on, fabulous natural wines flowed, winegrowers let their hair down (as shown above), old friends reunited, new friends met, children of all ages frolicked, plates full of braised wild boar were consumed, and then, we danced to a live rock band under the stars until the wee hours. Outside, summer breezes rustled through the centuries old oak trees that shaded the festivities. A babble of languages…Italian, English, French, Spanish, Portuguese and more rippled among the guests. Inside the tasting room, there was happy chaos and lots of enthusiasm for the wines. Giovanna Tiezzi was pouring her flagship wine Pacina IGT (90% Sangiovese, 10% Canaiolo). The 10-38 year old vines grow in “Tufo di Siena” soil (a mix of clay and sandy limestone–shells decomposing over eons from when Pacina was under the sea). The wine ferments spontaneously in huge, old concrete tanks in Pacina’s cellar that is part of the 900-year old convent where Giovanna and Stefano live and were hosting the fest. Giovanna’s soft humility and joyful generosity is evident in everything that she does. 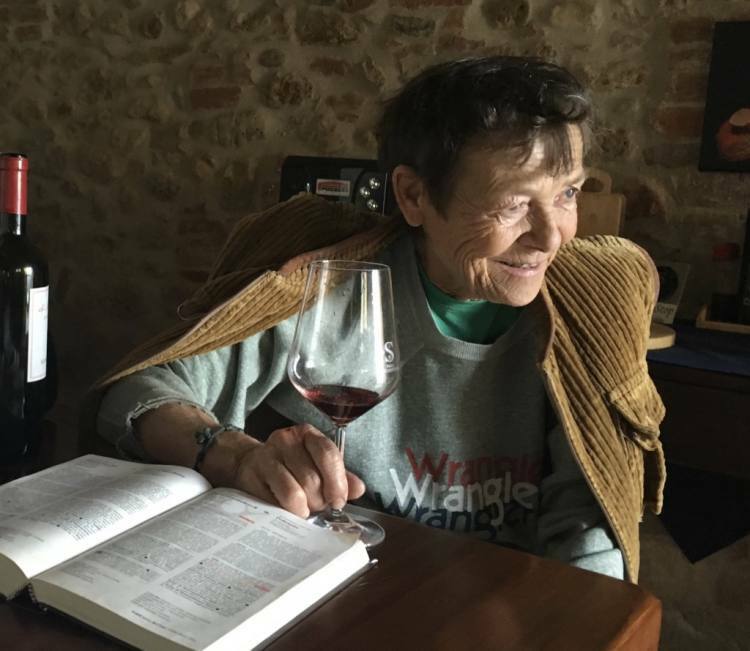 She, Stefano and their children beautifully embody the values they espouse: the importance of being stewards of the land and of making wines that fully express the essence of place, vintage year and grape variety. 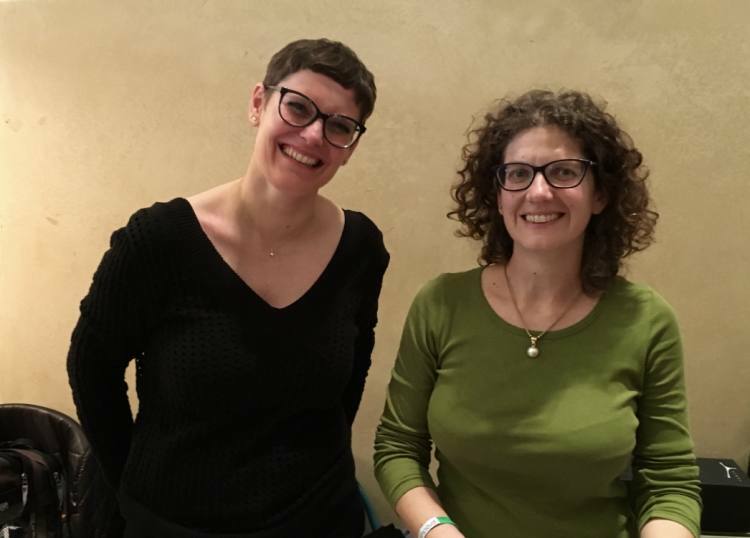 Standing next to her was Giovanna Morganti, who with her husband, Giorgio Serao, grow grapes and make wine just a few kilometers away at Le Boncie, just inside the Chianti Classico zone. 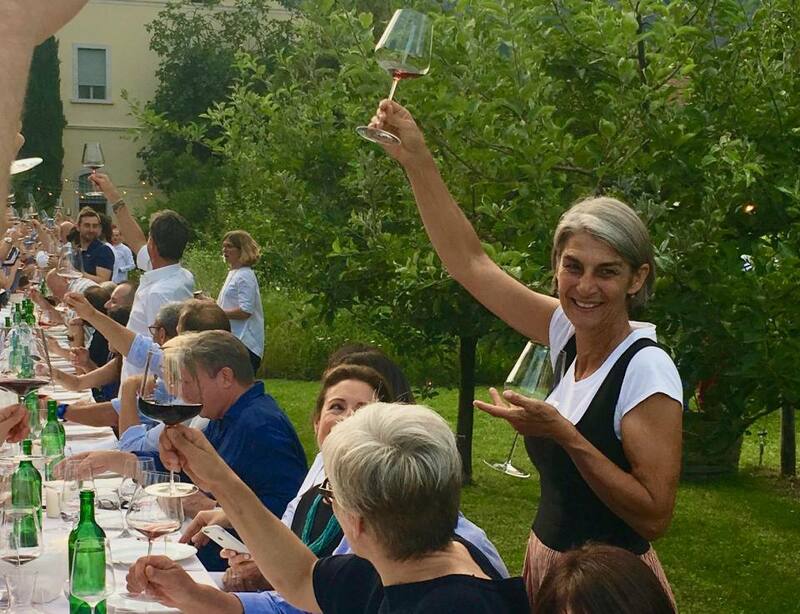 They, like Giovanna and Stefano, have been strong advocates of natural farming and winemaking and have opted out of the DOC/DOCG system to make IGT wines in the “classic”, natural, traditional way. Le Trame IGT, comes from Le Boncie’s main 3 hectare vineyard by the same name, planted mostly with Sangiovese but including five other native varieties and “5” IGT from a second, old vine, 1.5 hectare vineyard that Giovanna managed to acquire in 2006 with five varieties: Sangiovese, Mammolo, Colorino, Fogliatonda & Ciliegiolo. These are two slightly different but equally vivacious versions of authentic Chianti Classico. Next in line were (left to right) Carlo Tabarrini (Cantina Margó), Marino Colleoni (Podere Sante Marie) and Giuliano Salesi (Podere Orto). For seven years until 2016, Carlo (far left) worked full time in a chocolate factory (Baci) while also working nearly full time in his 1.5 hectare vineyard with 90 year old vines outside Perugia in Umbria. He loves experimenting. The sparkling Cantina Margó Fiero Surlí (“Sur Lies” spelled phonetically in Italian) is 100% Trebbiano, super dry and as exuberant as Carlo himself. The Cantina Margó Regio Bianco 2016 is made with more mature Trebbiano grapes with six days of skin contact. The Cantina Margó Fiero Bianco 2016, by contrast, is made with Grechetto and had only 3 days of skin contact. It seemed lighter, but Carlo noted that these two whites are always changing: one expands, the other contracts, and you never know. The Cantina Margó Fiero Rosato 2016 made with Sangiovese was delicate and crisp with only 11,5% alcohol, ideal for a summer evening. And the Cantina Margó Sangiovese 2016, is a clean, fresh version of a classic. Marino Colleoni (middle in photo above), is one of the most intellectually curious winegrowers I’ve met. He not only makes remarkable wines, but also conducts research projects on natural winemaking at Podere Le Sante Marie in Montalcino. He and his wife, originally from Bergamo, bought their property on the north facing hillside, high up at 45-500 meters, just outside of town in the early 90s. They found old vines there, got fascinated with grapes growing and wine making and began planting their vineyard. The logo reflects the fact that the marl soil there is filled with fossilized seashells…lending lots of elegance to Marino’s organic/natural Colleoni Brunello di Montalcino. It can age very well because of its structure, but can also be drunk sooner than others because it is not overwrought or heavy. Marino makes so little that it’s hard to find, but if you find it, you will want more. Marino’s Colleoni Rosso di Montalcino 2015 (far right below) is simply de-classified Brunello released after one year instead of four. His Colleoni Bianco Ansonica Toscana IGT 2016 comes from Ansonia or Inzolia grapes grown down in the Maremma, near the sea and his Colleoni “Selverella” Orcia IGT 2015 is from a Sangiovese Grosso (Brunello) vineyard in nearby Castiglion D’Orcia with rocky, volcanic soil. 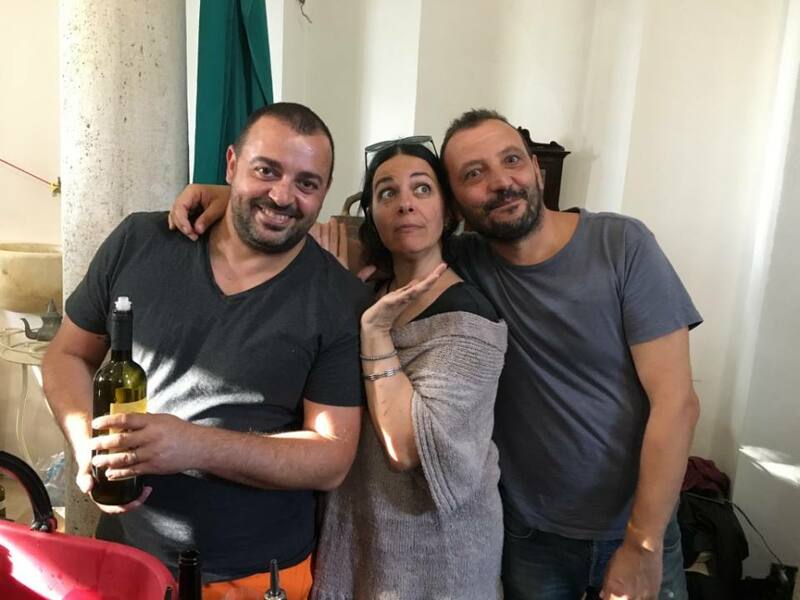 Giuliano Salesi (far right in photo above) and his wife, Simona De Vecchis (middle in cover photo) left Rome in the nineties to grow grapes and make fabulous wine at Podere Orto, 600 meters up using organic/biodynamic/natural methods in a rural corner of Lazio. The Podere Orto Moscato bursts with vivacity and delicate flavors, and Podere Orto Bianco made with 9 different local varieties (Verdello, Grechetto and 7 others) all harvested and fermented together in stainless steel. The wine stays 6 months on the lees and goes through malolactic fermentation….a lovely complex, fresh white wine to pair with a meal. 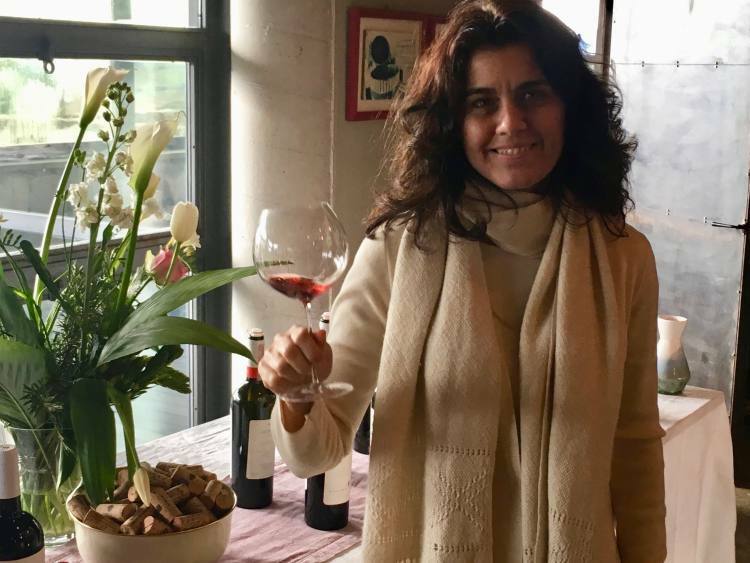 Simona poured me examples of her Rosso (Sangiovese with a little Grechetto Rosso and Ciliegiolo) the Podere Orto Rosso 2014 and Podere Orto Rosso 2015 so we could taste the notable difference in the two vintage years. The very rainy, cool weather in 2014 made the wine less robust and more austere than normal, but quite fine. In 2015, a warmer more classic year, part of the wine was vinified with the stems, giving it a lot more structure and tannins. It was fascinating to experience once again two wonderfully drinkable, but very different expressions of the same grape varieties grown in the same place. Daniele Piccinin of Muni grows grapes and makes wine on calcareous clay soil at 300-500 meters on the southeast side of Monte Cimo near Verona in the Veneto. 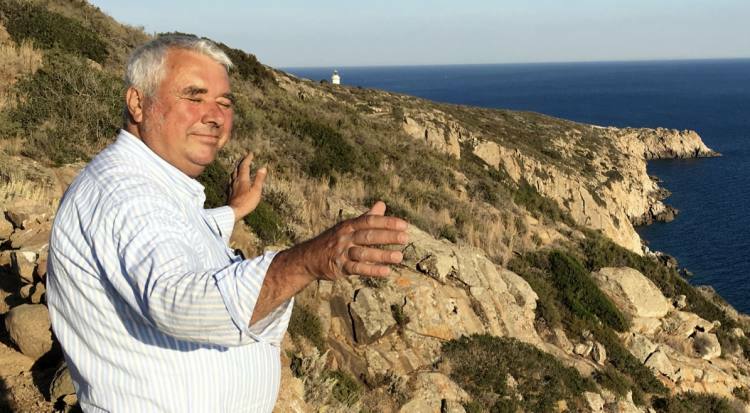 A former chef, who began making wine about ten years ago has quickly become known for his very natural methods and for featuring the largely forgotten Durella native grape variety. He brings out the very best of the Durella grape (highly acidic) in Muni Arione 2014. It is a remarkable “metodo classico” sparkling wine “pas dosé”, meaning no sweetness is added after the second fermentation in the bottle. I love its elegance and super dryness. Perfect pairing for oysters or as an aperitivo with slightly fatty hors d’oeuvres. His Muni Bianco 2015 is 60% Chardonnay and 40% Durella. The Chardonnay adds roundness and complexity to the Durella. The Muni Montenegro 2015 is 100% Durella made from his oldest vines 50-70 years old. A little further down the table, I found Gianni Massone of Santa 10 and just past him, Francesco Carfagna of Altura. I’ve recently visited both and am about to write posts. Gianni’s Santa 10 wines are made in Siena, on a hill overlooking the town’s medieval walls and the towers. The “Tufo di Siena” soil lends acidity and elegance to the all wines. Santa 10 Toscana IGT is largely Sangiovese with some Cabernet Franc and Petit Verdot. Gianni was pouring both 2009 and 2010. My personal favorite is Santa Subito Toscana IGT, a play on words because “Santo Subito” is what the faithful cry in Vatican Square when they want someone to become a saint immediately. This wine is made the quickest from native varieties Canaiolo, Ciliegiolo and Colorino (usually mixed in as secondary grapes with Sangiovese). The wines freshness and vitality matches its name. The third wine, Santa Tre IGT Toscana 2015 is a Trebbiano Toscano (native white variety), vinified as a red with skin contact. In this way, the rough edges of a very acidic variety are smoothed to make a fresh and complex wine for drinking with a meal. Francesco Carfagna’s wines come from Ansonica (white) and Sangiovese (red) grapes grown in precipitous, old vineyards hanging over the sea on the Island of Giglio. My favorite, which I’ve been pouring all summer at home, is Altura “Rosseto di Sangiovese” Toscana IGT 2015. Francesco only makes a few thousand bottles of this amazingly drinkable wine, which he calls a “red vinified as a white.” rather than a rosé. 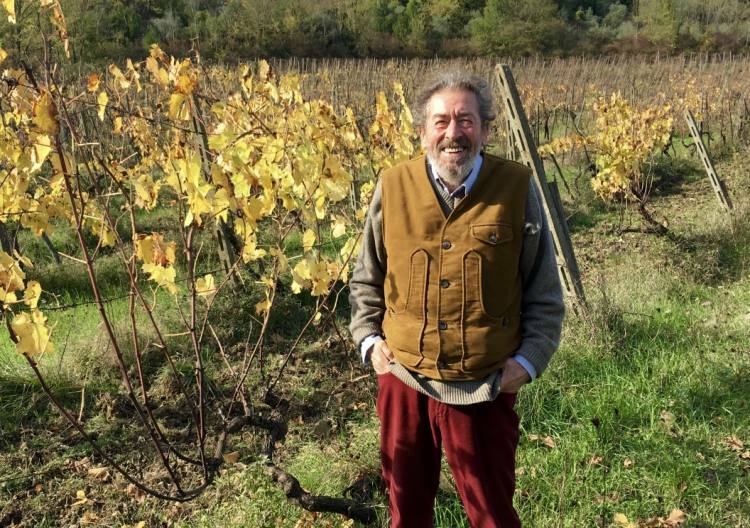 Alberto Masini (photo below) and his brother, Giovanni, make wine with their father, Vittorio, on what was once only a family walnut farm, Ca’ De Noci. Vittorio planted the first vines in the nineties in the rocky, limestone soil that is characteristic of that part of Emilia Romagna. From the beginning, the main idea was to bring back old, native varieties that had been lost in the rush to make sparkling, industrial Lambrusco wines using the Charmant Method (or second fermentation in covered stainless steel vats). The Masinis planted Spergola (a very acidic white variety), Grasparossa Lambrusco (a tannic red), Lambrusco di Montericco (an acidic Lambrusco), Malbo Gentile (a sweeter red) and Sgavetta (a native red often mixed into Lambrusco wine) and used organic/natural methods from the start. They use no sulfites, no filtering and no additives in the cellar. The Masinis make two different and very interesting white sparkling wines with 100% Spergola: Ca’De Noci “Querciole” (traditional method of leaving the lees in the bottle after the second fermentation) and Ca’De Noci “Riserva Di Fratelli” (a very dry “metodo classico” with no “dosage” added when the lees are removed). Then, there is Ca’De Noci “Notte Di Luna” IGT 2015 (meaning Night of the Moon). It is a lovely combination of Spergola and two aromatic varieties, Moscato and Malvasia. The result is both fresh (acidic) and fruity with a touch of sweetness. The true flagship is the Masini’s fabulous, sparkling red Lambrusco, Ca’De Noci “Sottobosco” IGT 2016. It doesn’t taste like any Lambrusco you’ve ever tried or heard of. Served chilled as it should be, it has a lot of tannic grip and acidity none of the flaccid sweetness that Lambrusco has come to be known as. It calls out for food from Emilia Romagna: prosciutto, parmesan, lasagne, tortellini, etc. Lorenzo Valenzuela of Barranco Oscuro from Andalusia, Spain, has been a regular at the Chassignolles fair since its inception. In the late seventies, his father, Manuel, planted vines in poor, rocky soil in a high altitude area known for low rainfall between the Sierra Nevada and the Mediterranean. He became famous for being a pioneer in the making of red wine in Andalusia and for his natural, no sulfite, artisan style. My favorite at the tasting was Barranco Oscuro “1368”, a blend of Grenache, Cabernet Sauvignon, Cabernet Franc and Merlot from the highest vineyard in Europe (1,368 meters or 4500 feet). All of the power of those dark, rich, complex grape varieties becomes elegant and even pleasantly restrained in that unusual terroir. Just as the fair was closing, I managed to get to Aleks Klinec from Slovenia, who has also been a regular at Chassignolles. He is the fourth generation of winegrowers just over the border from the Italian region of Friuli Venezia Giulia in Slovenia. Despite two world wars and the repression of the former Yugoslavian regime, the Klinec family continued with their family inn and their organic/biodynamic winemaking in Medana. Klinec Medana “Malvazija” 2012 (Malvasia), Klinec Medana”Garedelin” 2012 (Pinot Grigio), Klinec Medana”Rebula” 2012 (Ribolla Galla) are all delicious, single varietal “orange wines” that are signature wines coming from the unusual “ponca” soil, layers of clay and limestone that was under the sea 55 million years ago. These two Bordeaux blends macerate for a month on the skins then, age 3 and 5 years respectively in large barrels made from cherry or ash (no oak and no barriques). Klinec Medana “Quela” 2011 (60% Merlot, 30% Cabernet Sauvignon, 10% Cabernet Franc) , Klinec Medana “Morá” 2009 (the Riserva made only in best years). The rich, vitality of the Riserva was the perfect capstone for the end of the fair. As the tasting was winding down and the shadows were lengthening, I took a walk out in the Pacina vineyards. Even with the terrible drought and heat of this year, the Sangioves grapes looked plump and beautiful. And the white grapes, too. Interesting to see how old vines with deep roots that have been cultivated with natural methods are able to resist extreme conditions. As the sun set over the soft hills around Siena, the band was warming up and dinner was being served. What a beautiful evening.